Samsung Galaxy C5 Pro is expected to be launched soon. Now, ahead of its official launch, the phone has been spotted on the internet – Weibo. 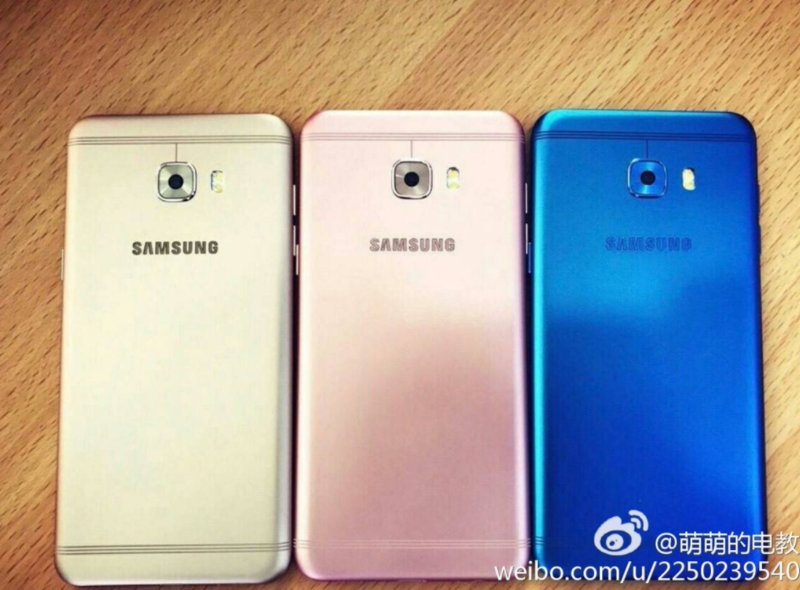 As per the leaked photo, the Samsung Galaxy C5 Pro will come in three different colors – Champagne Gold, Rose Gold and Blue. Samsung Galaxy C5 Pro has already in the news for its appearance at several benchmarking sites and certification portals. As per listings, the Galaxy C5 Pro will be a 5.2-inch Full HD display backed by a Snapdragon 625 chipset combined with 4GB of RAM and 64GB storage. The phone runs on Android 6.0.1 Marshmallow. Camwera-wise, the phone will flaunt a 16-megapixel rear shooter with LED flash and the same 16-megapixel camera on the front for taking selfies. Should You Upgrade Your Current Laptop Or Just Buy A New One?